We are leading Digital Marketing Company in Delhi India. 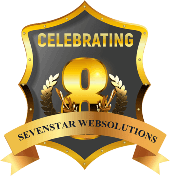 Sevenstar Websolutions top digital marketing company has a keen and outstanding team of experts. Our founders have vast experience in IT and development field. We work on the policy of identifying clients needs, improve branding, and bring business to its clients and that too at very competitive price tags. We proffer industry-specific services; modify them as per customers’ needs and the current marketplace scenario. We are working in a lot of verticals like SEO, Online reputation, Content marketing, PPC, App development and web development etc. 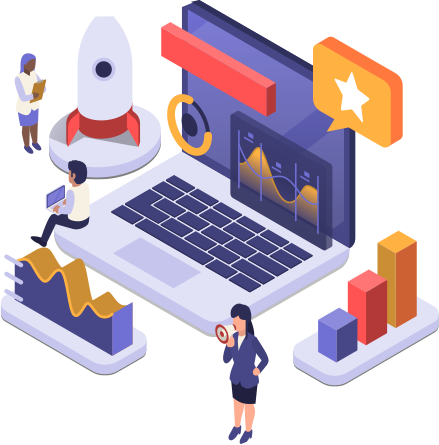 Sevenstar Websolutions Digital Marketing company offers complete digital marketing solutions to its customers worldwide from Website Planning, Search Engine Optimization, Social Media Marketing, Content Writing, and app development to web designing. Our expert team of professionals understands your point of view to offer you with result-oriented solutions. We analysis the whole website and make a proper strategy to promote your website; so that we could achieve top ranking in Google ASAP. As one of the foremost social media marketing companies in the world, we know how to offer the quality solutions to the digital age to help brands get visibility, turn customers into champions, and drive quality business results. Our team of SEO experts helps you to market your business website on major search engines like Bing, Google, and Yahoo. We make certain that you get top rankings in search engines. We have a complete range of Website Design and Development services for all type of businesses. If you want to boost the business of your website we at Sevenstar Websolutions provide you the good deal for PPC services in India. Our team of expert content writers helps you to create useful & relevant content to market on different channels. We know 70% of the customers are online on their Smartphone’s. To make their process more easily we develop and market mobile apps that will be most excellent for your business. Our experts have in-depth experience in Digital Marketing industry.